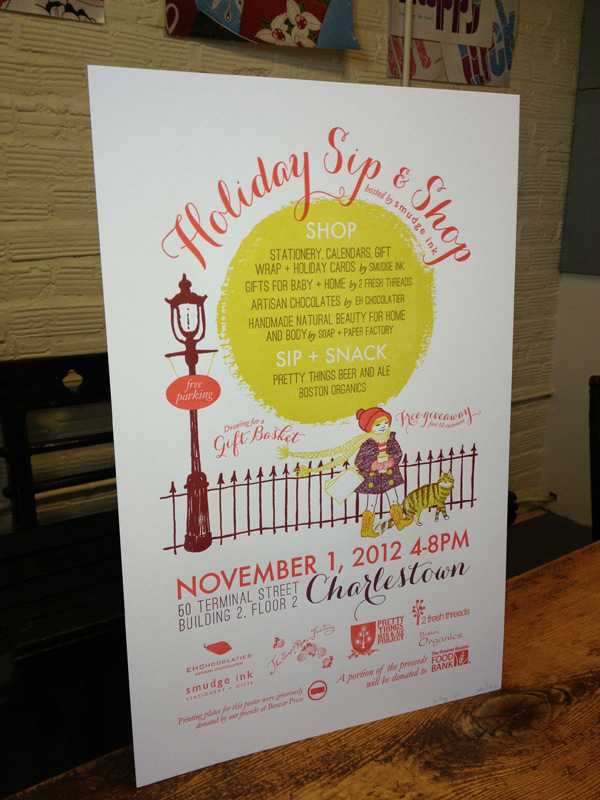 Our friends at Smudge Ink are teaming up with Boston area vendors again this year for another Holiday Sip & Shop event! If you’re in the Boston area, visit Smudge on Thursday, November 1st from 4-8pm in their Charlestown shop for an evening of pre-holiday shopping, sipping and socializing. You’ll get the opportunity to purchase products from some great local companies, and a portion of the proceeds will be donated to the Greater Boston Food Bank. We donated the photopolymer plates for the letterpress posters used to promote the event, and were so impressed with the final outcome! 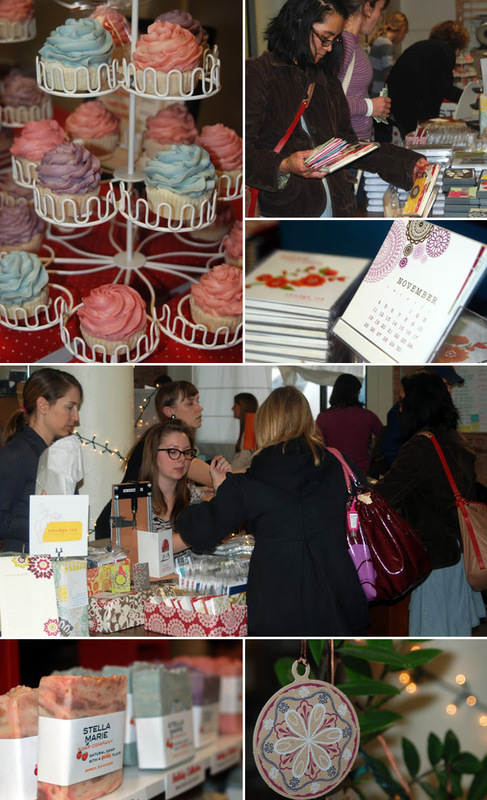 Check out the photos below from the 2011 Smudge Sip & Shop event and don’t miss out on the fun! This entry was posted in Letterpress Is Fun and tagged Holiday Sip & Shop, letterpress print shop, Smudge Ink by erica. Bookmark the permalink.